It's About Lincoln: Where was the Bail Gate? Bailgate is one of Lincoln's oldest streets roughly following the line of the Roman Ermine Street, it is also part of an area historically known as "The Bail". 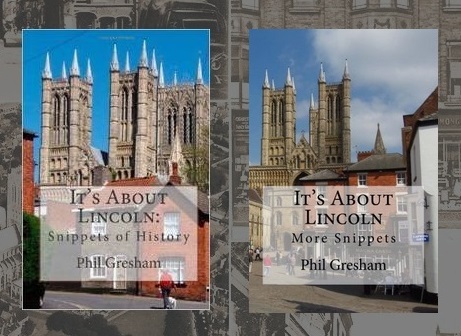 In the Middle Ages Lincoln was made up of three self governing areas, the City, the Close and the Bail. These areas were managed through their own courts. The freemen made the laws and carried them out. The system was as democratic as it could be, as only freemen were allowed, and expected, to be involved in the running of a district. The Bail was an area which included Castle Hill and Bailgate from the north of Christ's Hospital Terrace to Newport Arch. All these areas of Lincoln were physically divided from each other by gates: the gates into the Bail were Newport Arch, a gate from the Close at the junction of Bailgate and Eastgate, Exchequer gate, the western gate of which spanned the road east of Bailgate, and the Bail gate. The Bail gate stood a few yards south of the location of the Roman south gate of the upper town. Records of this gate are scant but I have concluded from various books that the site of it would be adjacent to Christ's Hospital Terrace and what is now Wordsworth Street. Wordsworth Street did not exist at the time of the Bail gate, it seems probable that the eastern entrance to the street was where the gates of the 18th century County Hospital once stood. The area bordered by Christ’s Hospital Terrace, The Harlequin, Michaelgate and Steep Hill is more or less level, it may be natural but it may also have been levelled in order that a double gate could be built.